Mountains, Waterfalls and Trophy Trout Waters Abound in Beautiful Siskiyou County! Northern California’s Siskiyou County is full of off-the-beaten path adventures and breathtaking landscapes. With majestic mountains and towering trees, it stands proud, rugged and pure. From fishing and caving to waterfalls and craft brews, adventurous experiences for all the senses are yours in Siskiyou. 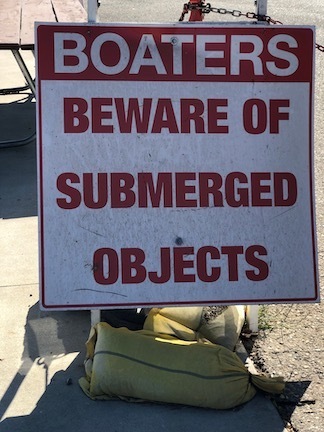 Siskiyou’s abundance of lakes, rivers and streams – including six designated “wild and scenic” rivers – means a wealth of spectacular water sports and sights. Siskiyou claims the headwaters of the mighty Sacramento River in Mt. Shasta and much of the length of the Klamath River – including the lower Klamath Basin. Some of the best bird congregations and viewing experiences outside of Alaska can be found right here. Siskiyou has world class kayaking and rafting, and some of the best trout and steelhead fishing around. 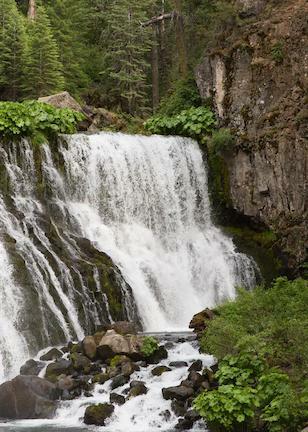 Thundering waterfalls are abundant throughout the county - some can be reached as a reward of a strenuous hike, and others you can drive right up to. There are no shortages of spectacular sights for all ages and abilities. Above all of this stands the iconic and majestic Mount Shasta – visible from nearly every corner of Siskiyou and the most visible example of Siskiyou’s volcanic past. It provides four seasons of excitement from hiking and paragliding to skiing and snowshoeing. Mount Shasta also signals the entrance to the eastern part of Siskiyou where lava flows have shaped a truly unique landscape. From obsidian-made Glass Mountain to Medicine Lake, and one of the largest shield volcanoes in the Northwest with more than 700 explorable caves. 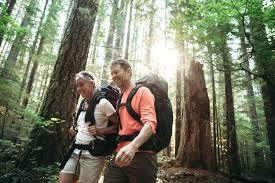 In Siskiyou, adventure never takes a day off and there’s something for the adventure seeker in everyone. So mark your calendars for OWAC’s Spring Conference, May 20-22, 2019, in Mt. Shasta City to experience for yourself all of the beauty and wonders that Siskiyou County has to offer! Keeping it real! That’s what we volunteers work hard to accomplish for OWAC. That means a little extra effort from time-to-time. 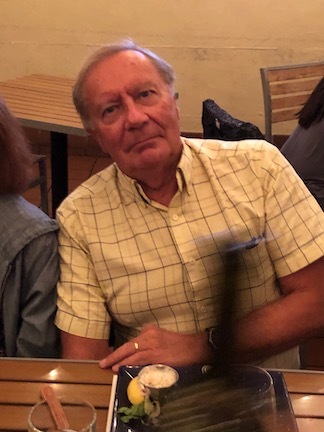 Effort like that of Board Member, and past president, John Henigin threw together the Santa Barbara Lite Conference, under an incredibly short time-line and with very few resources. And like the efforts of Newsletter Chairman, Christopher Langley, now turning out his second excellent effort, along with the help of his committee. Now the question is: What can you do to make OWAC great again? Send me a note with your ideas and suggestions as well as your interests in helping with running this exciting and worthwhile organization. We have committee positions, chairman seats, and several other helpful places where each member can lend a hand. As your volunteer Executive Director, I see many ways we can improve, including revising and updating the website, a committee which I chair. I will be changing roles with OWAC. I will continue as a consultant with the Board but will no longer be serving as President as of November 30. During my term on the board and while acting as President, my work focused among other things on updating OWAC’s legal and operational documents, which were all approved by the Board. Work also included maintaining key documents. -- Maintaining original documents for all resolutions adopted by the board. 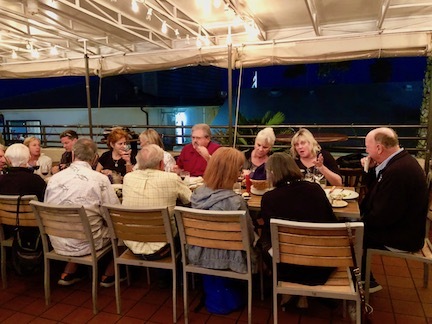 -- Attempted to build coalitions by attending occasional meetings of the Bay Area Travel Writers. Finally, one of the most memorable duties of the President has been to play a key role in helping showcase the work of OWAC members. This work included serving as a judge for the annual Excellence in Craft Contest and managing contests and producing slide shows of images taking during field trips at OWAC conferences. This work was all made possible with the help of other OWAC board members and volunteers who stepped up from the membership. It’s been an honor to have served as its President. I will continue on the OWAC Board as a consultant and I will support the organization to becoming stronger and of more service to its member in any way I can. It has been over 7 years since I have fished a bass tournament as a non-boater or Pro. It was in 1988 when my son Aaron and I started fishing as a team until he went pro around 1996. So then I had to go pro as well if I wanted to continue fishing tournaments. I was one of the few women on the West Coast and acquired many sponsors because of the distinction. It’s also how I got my start as an outdoor writer with Won Bass and have written for many communications since then. I have been a member of OWAC for about 20 years serving on the board many times and as President for one glorious year. This year in October I was persuaded to once again participate in the Won Bass US Open on Lake Mead in Nevada. It was the largest event ever with 224 boats and included in the 448 anglers there was 5 ladies. My friend Liz and I went as a non-boaters which is much easier and a lot less expensive than Pro. 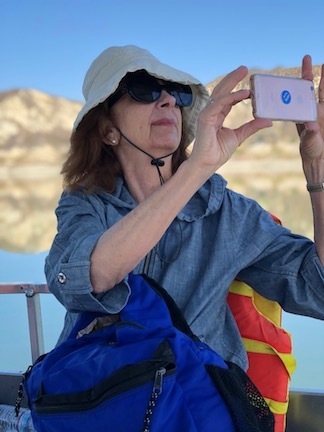 What a thrill it was to see Lake Mead again from a boat instead of an airplane. Because of lowering water level lots of brush and trees have emerged and there is an abundance of bait fish and bass. With all the pre fishing pressure and a weather system that moved through, the fishing was on the tough side. I finished 160thPl. My infamous son Aaron, who has won 3 times in the past, fished as a Pro and my son Chris as a non-boater. It was so much fun that my friend Liz and I have already signed up for the Won Bass Open at Lake Havasu in January. As a senior and great grandmother, I never dreamed I would fish tournaments again! I still have my own boat and truck and try to fun fish at least once a week, so don’t be surprised if I show up on one of your lakes someday soon. I’m still fishing around and loving it. Underexposure, light imbalance, difficulty focusing and comfort are a few of the obstacles that make winter photography troublesome to the casual photographer. If writing is more your thing, here are some tips to improving your winter photography. Getting the Exposure Right – Light meters calculate the combination of aperture (size of the lens opening) and shutter speed to render what is being read as neutral gray. However, in snowy winter scenes, the light reflected by snow will cause the meter to underexpose (darken) a scene, making the snow appear to be gray and darkening other subjects in the photo. To avoid this, meter your camera toward something that is similar to neutral gray (the northern blue sky or a rock) or overexpose the photograph by one to two stops (for snow). Another approach is to set your metering system to spot metering, then focus on the subject (wildlife, person) when setting the exposure. Seeing Your Photo on the Preview Screen– With bright light being reflected off the snow, it’s often difficult to see the image you’ve just taken on the camera’s tiny LCD preview screen. In the 1800s, photographers would drape a black cloth over their heads to view images projected onto a ground glass focusing plate, before inserting the film holder. That idea still works. Any dark cloth can be used to shade the preview screen. A convenient tool in the field is Hoodman’s rubber outdoor loupe. Filters – There are lots of ways to correct exposure imbalances using Adobe Lightroom, Photoshop and other digital darkroom tools, but these post-production techniques do not reduce glare or reflections. To do that, a polarizing lens is needed. It intensifies color, reduces glare, darkens skies and adds definition to clouds and snow. To use it, stand 90 degrees from the sun and turn the moveable ring on the filter until reflections and glare are reduced. Be cautious not to turn the filter too far, as too much polarization makes the scene appear unnatural. Another useful filter is a graduated gray or split neutral density filter. Half this filter is gray, the other side clear. By rotating or sliding the gray side over the brightest part of the scene, both sides of the image will be exposed more equally. Yosemite photographers use this filter to balance the bright cliffs with the shaded valley floor. It’s also useful when balancing bright snow with darker subjects. Cokin makes square filters that can be slid and rotated using a special holder, useful when wearing gloves. Fast or Slow?– Deciding to shoot with a fast shutter speed or slow one affects the result of your photograph, particularly when it’s raining or snowing. Fast shutter speeds stop the snowflakes and rain drops. Slow shutter speeds blur them, but also can show motion and convey power. Experiment to find which you prefer. The balance of shutter speed and aperture also defines focal distance. The faster the shutter speed, less of the foreground or background will be in focus. The slower the shutter speed, more of the foreground and background will be in focus. Focus – it’s harder to keep your subject in focus when snowflakes are in the way. Shift your camera from auto focus to manual focus when it’s snowing and back when it’s not. Staying Cold –Did you ever notice that your car’s windows are clear in cold weather until you get inside? Then your body heat and the vehicle’s heater forms condensation on windows which can keep you from seeing out. The same can happen to cameras. A camera is fine outside in the cold, but when brought into a warm room or vehicle or when tucked into your jacket, condensation can form on its lens, viewing port and inside the camera. To avoid this, put your camera into a camera bag or a zip-lock freezer bag before going indoors. Never shelter a camera inside your coat; instead, cover it with a towel, cloth or open bag when working in rain or snow. Staying Warm – Just as cameras need to stay cold to avoid condensation, photographers need to stay warm to keep photographing comfortably outdoors. The best way to stay warm and dry is to wear light layers: woolen socks and warm base and mid layers beneath breathable, wind and waterproof outdoor clothing. Wear glove liners, plus mittens or gloves. Fingerless gloves are helpful for working cameras, but protect your fingers with mittens or gloves when not taking pictures. Always wear a warm hat. Knit hats can cover ears and face shields or balaclavas provide the best facial protection when windy. Waterproof boots or shoes designed to keep feet dry and warm in snow are essential. Keep spare camera batteries in a warm pocket. Batteries that have lost their charge due to cold can be revived when rewarmed. Hand warmers help. Winter is a quarter of the year. That means it represents a quarter of your opportunities to make money, and those opportunities improve when you can offer an editor photographs that illustrate stories on: ice fishing, skiing, ocean fishing, snowmobiling, off-roading, hunting, backcountry skiing, trekking, winter camping and backpacking, ice climbing, wildlife viewing, dog sledding, touring and other adventures as endless as your imagination and ability to photograph them. Peter Schroeder on a court ruling that might just scare you to death. Give so OWAC can give back. These photos were taken during a recent (fall) trip to Lone Pine and the Alabama Hills. I’m in the process of writing a story which I hope to place. I do some freelance outdoor writing, but my main thing is writing books that end up on the worst sellers list. While I’m not an expert photographer, I do have some comments on this last photo trip. Except very early and very late in the day, the rocks and sand can leave pictures washed out. I found that under exposing them brings out the detail and contrast. Also, even a trace of clouds makes having a polarizer filter a must. In wide open spaces such as Alabama Hills, perspective and distance are difficult to show. My solution is to include foreground, middle ground and background in the same photo. Also, unlike some of my friends, I have no problem with a person or a vehicle in the picture. I’m not striving for art, but rather to give the reader a sense of place, a feeling they might want to be there. As Publicity, Outreach, Social Media and Marketing Committee Chair, my first task was to take this mouthful and assign it an acronym: POSMM – or more simply, Possum. Not because I appear to be ‘playing dead,’ but because opossums are found in a variety of climates and habitats; and with four fingers, opposable thumbs, and prehensile tails, they’re good at grasping things. A lot like OWACers! 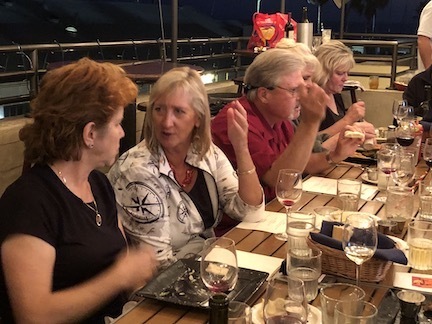 The Possum Committee aims to promote OWAC to the media; expand visibility and appeal to potential sponsors and destinations; and increase membership and participation. Because PR placements will hopefully lead interested parties to the website, these tasks are in fact on hold until the website is fully updated. At that point, our campaign will launch, with tentative plans for 1) a recap of the Santa Barbara Conference and teaser for the Spring gathering; 2) an announcement of the Pat Vachini scholarship; and 3) a general release on OWAC, our mission and members. Volunteers are appreciated, to help write and distribute releases, and provide media distro lists. The area of Social Media (my true nemesis) is also in need of more hip and happening helpers, to make our message know across broad channels. 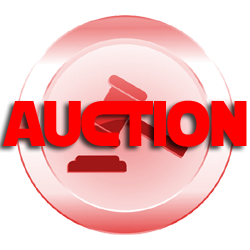 Would you please let me know if you have any ideas regarding auction and raffle items for the Spring Conference in May of 2019? We are always open to new ideas and your personal contributions to this worthy cause. The money raised strengthens and makes a difference in what OWAC can do in the future. If you have attended our conferences you know how enjoyable the raffles are and how willing everyone is to buy tickets at the prospect of taking some valuable goodies home. Maybe you have an idea that will make it even more profitable successful! Fishing isn’t always about catching fish. In fact, for many no fish are caught on angling outings. 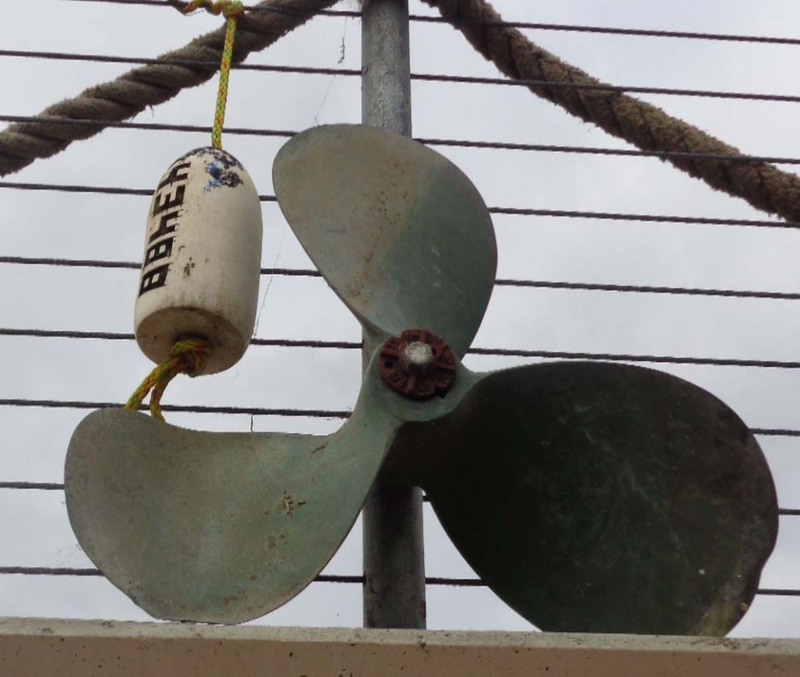 Often, the anglers must look for something else as a remembrance of the fishing trip. 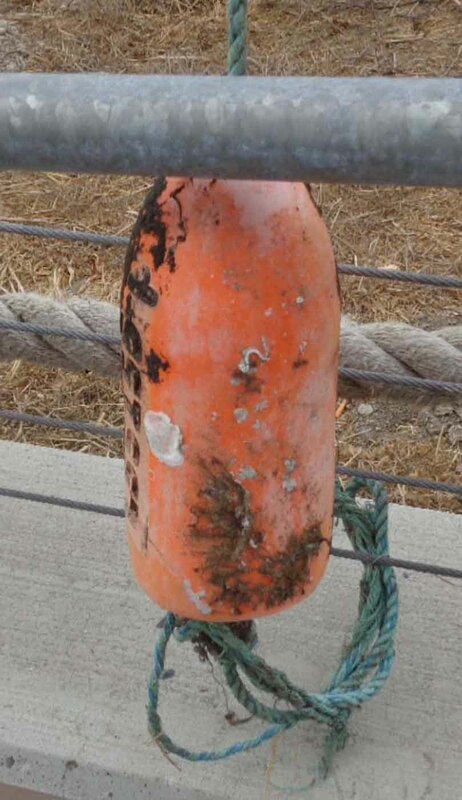 At a surf fishing trip south of Santa Barbara, the thing that was remembered was a collection of ocean buoys that someone has used to decorate the entrance to the walkway that went under the freeway and railroad tracks used to get to the Pacific Ocean. 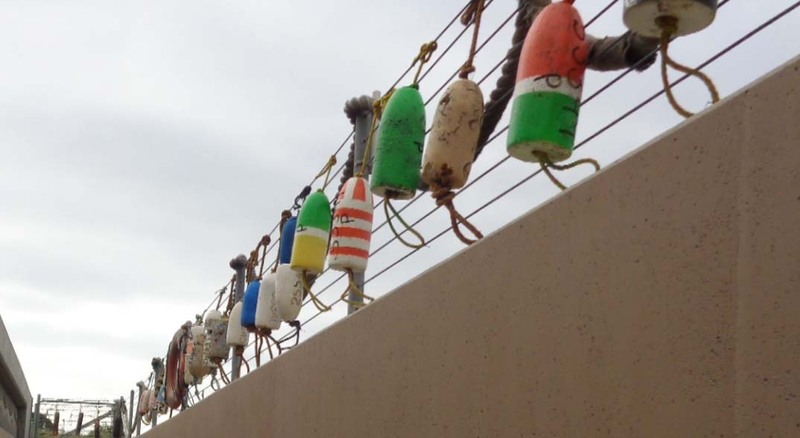 Someone has placed the buoys on the railing of the walkway. It made the outing memorable, because there were no fish caught in a higher than average surf. SO WHOSE GOT THE BIGGEST FISH? Not far from the confluence of the Sacramento, Cosumnes and Mokelumne rivers and the California Delta, Explore Elk Grove’s welcome mat greets millions of migratory birds each fall and winter. Along the Pacific Flyway, winged visitors make their way to nature preserves, parks and refuges. 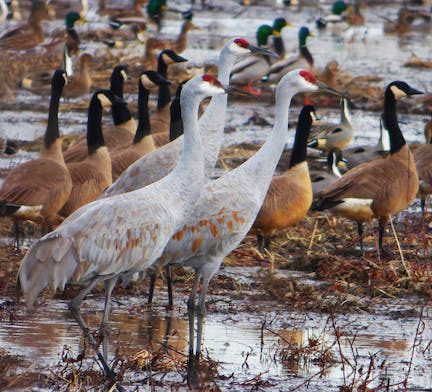 Breathtaking fly-ins of ducks, sandhill cranes, Canada geese, snow geese and tundra swans are the showstoppers, but wildlife viewing is a year-round attraction. Throughout the region, a wide array of feathered friends, mammals and fish are full-time residents. Parks, neighborhoods and rivers are habitat for red-tailed hawks, Swainson’s hawks, falcons, river otters, raccoons, owls, and, yes, Mexican free-tailed bats! Whether you walk, paddle or observe from your car, it’s easy to get up close and personal with nature. 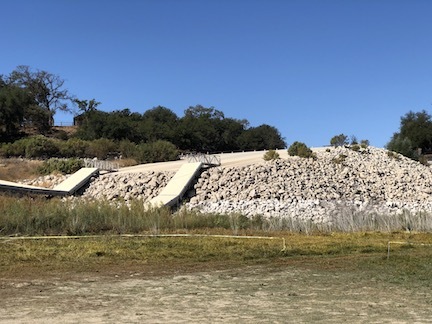 In the 1970s, the Sacramento Sanitation District looked deep into their crystal ball and saw that communities needed a “buffer” from the wastewater treatment plant. 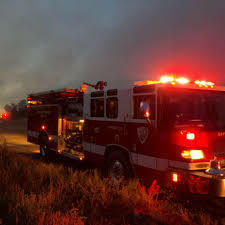 To safeguard growing populations and preserve much needed open space, they purchased 2,150 acres to minimize the potential for odor and other nuisances that could impact the surrounding neighborhoods. The results were nothing short of remarkable. Hidden away along Franklin Boulevard, this important nature area provides hundreds of acres of high-quality wildlife habitat, farmland and open space in a rapidly urbanizing area of California. 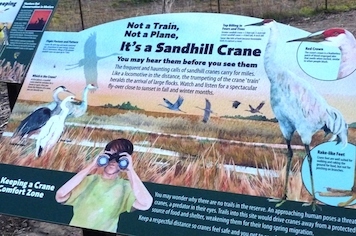 A one-mile universally accessible trail and three-mile roundtrip levee trail and boardwalk provide up-close views of sandhill cranes, shorebirds, riparian forests and wetlands. Bring your own boat for guided kayak and canoeing trips on the last free-flowing river from the Sierra Nevada to the Central Valley. Visitor Center includes interpretive displays and covered deck great for picnicking. All ages will love the weekly “Ducks in Scopes”, where preserve docents provide free scopes and binoculars and expert wildlife identification. Scopes are also set for children. Check the website for dates and times. The refuge is home to more than 200 wildlife and fish species. Seasonal Pacific Flyway migrations of Greater Sandhill Cranes, shorebirds and wading birds rest and feed on mudflats, wetlands and lakes. The recently restored Blue Heron Trails is located at the Hood-Franklin Road headquarters. Open from sunrise to sunset, free of charge, the accessible paved trailincludes a mile of loops around managed wetlands hosting various migrants such as hawks, shorebirds and interpretive panels. Best viewing is during the migratory season October-May. School groups are welcome. Check online for dates and details about docent-led tours. 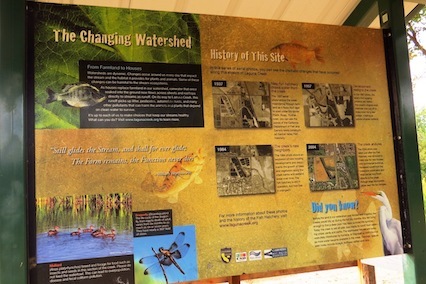 This one-day festival features hands-on activities, live animal shows, entertainment and guided tours of Stone Lakes National Wildlife Refuge and the 2,150-acreBufferlands a unique opportunity to see a rare heron and egret rookery—one of only four in Sacramento County. Special twilight tours are offered during the summer and fall. 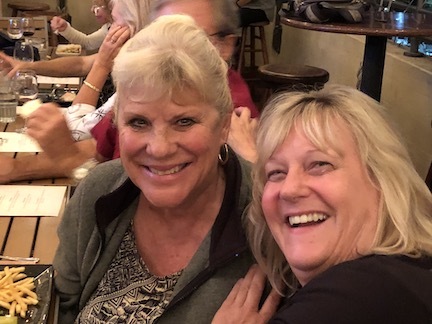 Check out Barbara L. Steinberg on her Facebookpage that chronicles all of her adventures and her website, AreYouThatWoman.com, to explore undiscovered corners of Elk Grove and California. With some interesting maps and photos, Sam explained that the waters off the 153 mile coastline and between the Channel Islands are the most diverse waters in the world. It’s where the cold waters from Alaska and the warm waters of Mexico converge in depths up to 3,000 feet. The 300,000 in marine life is also diverse and abundant. Roaming through these waters you may spot a Blue Whale, one of the largest mammals alive feeding on the tiniest bait called Krill. Who knew there were so many varieties of seals and sea lions? Sea lions can climb and seals can’t. Dolphins are among the most hearty as compared to otters that are considered easy prey and more fragile. Something I didn’t know. Sam and his team are all volunteers and depend greatly on donations to keep the Institute going. 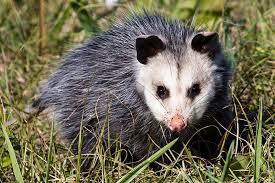 Their mission is to rescue and rehabilitate and release to the wild. They research and educate as well. Sam’s passion for helping animals began when he was just a small boy. Today, many of his volunteer helpers are young people and are exhibiting his same passion. He loves to get their parents involved as well to raise awareness and help encourage their children to follow in his footsteps. You have to be a special guy to do what Sam and his wife Ruth does for no money and little appreciation. I suppose some people get rich with very little money? In closing, please, please go on CIMWI.org and take a look at this simple and beautiful website, you won’t be sorry. Maybe you will want to volunteer someday or even donate. The animals can’t show their appreciation for all the Institute does, but we can and along with Sam, we can make a difference. The response to the call for material for this month's newsletter has been great. It is so rewarding to work with such a strong group of professional, talented, and creative people. We are still finding our way still, slowly OWAC OUTDOORS its getting its own look and style. I want to remind you that you can be developing your stories as you go along. We could then have a "bank" and not have to "fly by the seat of our editorial pants." We'd love some letters to the editor own subjects of interest to our readers. 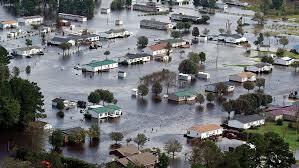 Much is happening good and bad in our outdoors and I'd love to hear about it. We don't take political stands because of our non-profit status. Have a wonderful season ahead and celebrate your families and friends. Tell them how much you love them. I am growing to love why OWAC family!! It is so much fun to put real people and faces with name. 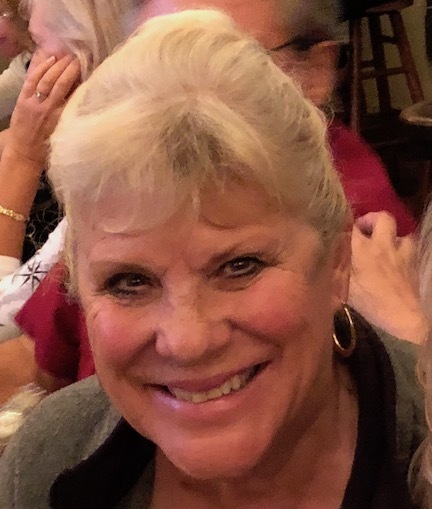 In the past year OWAC has established the Pat Vachini Scholarship Fund and the OWAC Endowment Fund with initial contributions of $7,250 that have been invested in high dividend stocks. Funds are invested in stable large cap stocks paying high-yield dividends of 5%-6%. Only the dividends will be available for scholarships or other worthy causes, leaving the investments intact and continue to grow, thanks to future donations from our membership. 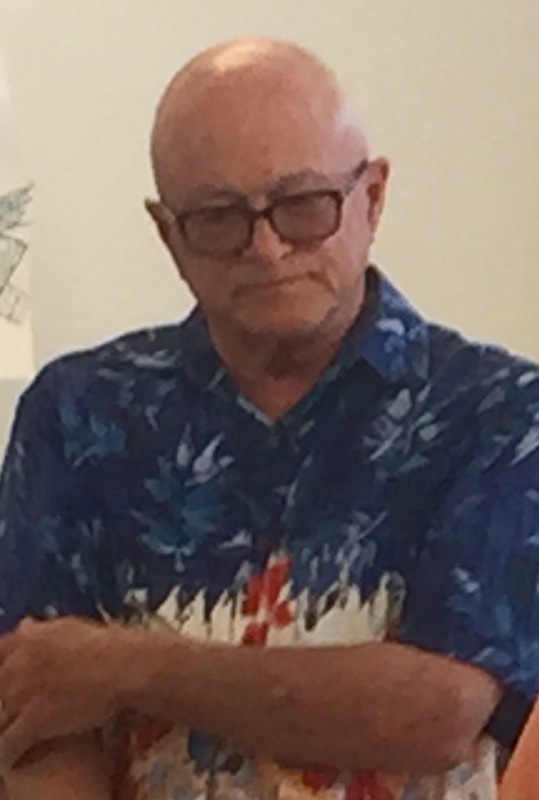 Please consider making donations to the Scholarship and Endowment funds by either (1) hitting the Donation button on the OWAC website or (2) mailing a check to Bob Semerau, OWAC Executive Director, at P.O. Box 50136, Oxnard, CA 93031. OWAC is a 501c3 non-profit organization, so your donations are tax-deductible. Have you heard about the new California ruling that is causing many of California freelance writers to lose their often long-held affiliations with some publications? This update is provided by California-based Carole Terwilliger Meyers, Freelance Council Chair of SATW. 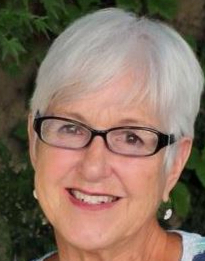 Carole recently received a cancellation notice from Northstar Travel Group, for whom she has written regularly for more than 15 years, that as of 1/1/19 they will no longer accept freelance articles due to its legal interpretation of the California Supreme Court ruling in April. Carole thinks the intent of this ruling is to prevent employers from reclassifying employees as contractors to avoid paying benefits. However, she contends the unintended consequence is preventing freelance writers from earning a living. “I am concerned about how this ruling is being interpreted. Some of SATW’s California-based freelancers were told this week that they could no longer contribute to certain publications, even those based outside of California, because of the legal liabilities the new ruling creates. (Full disclosure: I was one of the writers who was contacted.) When former Western Chapter Chair Christine Loomis brought this matter to my attention three months ago I reached out to my elected representatives. Since then, I have been working with other journalism organizations including ASJA to make sure our voices as freelance writers are heard. “Here’s what California-based freelancers can do today: Educate yourself on the issues and learn how this ruling may affect your livelihood. Contact your elected representatives.To find your State Senate representative, go to? http://findyourrep.legislature.ca.gov For your State Assembly member, go to https://www.assembly.ca.gov/assemblymembers. The book contains two-page profiles of 15 streams, rivers and lakes to fish in the spring, 21 for the summer, 14 for the fall and six for winter. Many of the water bodies are the same, but with tips for catching in each season. The profiles include many rivers that anglers know well, such as Hot, Rush, Lee Vining, East Walker, Upper Owens and more. He profiles far more lakes than rivers, including Crowley, Convict, June, Heenan and others. The writing on each water body shows McKenna’s skills as a researcher, connection to the local guiding community and sense of humor. “Families from ‘down south’ will drive all night so they can make season opening casts at Convict Lake before falling asleep in the back seat. Old buddies will stay up late telling fishing stories by the campfire before stumbling across the sea of empties to the lake at sunrise,” McKenna writes. Sometimes McKenna gets a little carried away in describing the High Sierra fish. Each water body section in the book contains photos, profiles and newsy tidbits in McKenna’s charming and folksy writing style, but also down-to-business detailed information about where and how to fish, history, conservation and anything else relevant to the area. In the forward to the book, Ted Carleton tells about how he lured McKenna into moving to Mammoth Lakes and becoming an outdoor writer. “I started a newspaper based in Mammoth Lakes called ‘The Sheet.’ I needed some help. Called a friend in Hailey, Idaho, who was already a couple of beers in and told her of my dilemma. Imagine that. 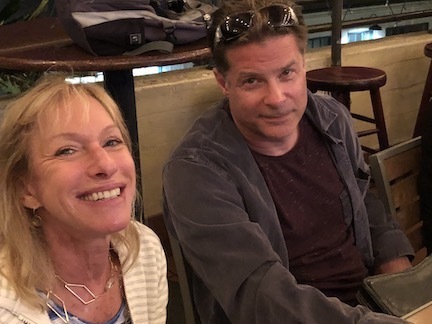 ‘I’ve got a writer right here next to me at the Red E,’ she said, while seated at the infamous Red Elephant, a glorious dive bar since euthanized,” writes Carleton. For the most part during those early Mammoth writing days, McKenna fished mostly with spinning gear, lures and bait. That changed one day when a reader invited him to try fly fishing. 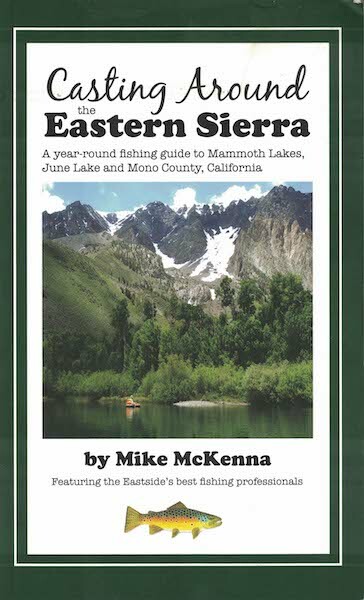 McKenna’s book is illustrated with maps provided by a team headed by Mono Lake Tourism that show landmarks or that lead anglers to fishing locations. His book contains a full-page plug for the work of California Trout, Eastern Sierra Land Trust, Friends of the Inyo and Trout Unlimited. The book is full of photos that were created with the help of locals, Josh Wray and Mike McCoy. Several of the photos contain (what else?) images of beer at the fishing locations. McKenna has won awards for his writing from the Outdoor Writers Association of California and the Outdoor Writers Association of America. His first Book, “Angling Around Sun Valley,” covered some of Idaho’s most famous fly fishing waters and was selected Best Book of the Year by Northwest Outdoor Writers Association. Review and approval of Oct. 8, 2018 Board Meeting minutes-Peter moved to approve and Bob seconded it. General Meeting minutes- John P. moved to approve and Peter seconded it. Additions to Agenda- Barbara wants us to consider a donation of some type for the Butte County fire disaster. She will research some possibilities. Butte County was one of our conference destinations a few years ago. Because OWAC is a non-profit organization we may be able to bring attention to Butte County needs by writing some articles? 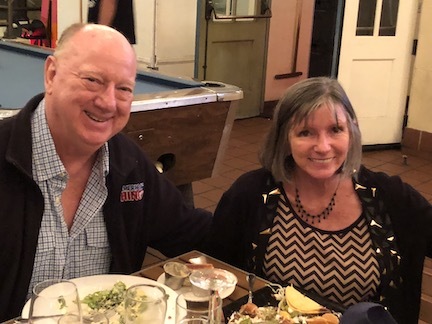 Californian of the Year (Kathie Morgan) Kathy suggested we invite the previous COY winner, Ray Murray, to our Spring Conference next year so we can give him a round of applause and a platform to share his story. John Poimiroo will personally invite Ray and hopefully he will come as our special guest. 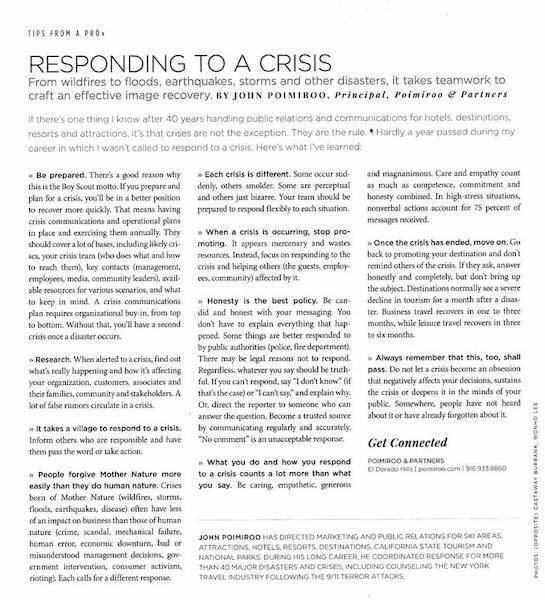 Craft Improvement ( John Poimiroo)- has had 4 articles for the OWAC newsletter so far. He also has a list of great topics for future articles and will send that list to the board. Excellence in Craft (Bob Semerau) (See Appendix C for calendar for the 2019 contest) The rules and application will be put in the newsletter. Investment & Finance ( Peter Schroeder & Bob Semerau)-We have a total of $8,250 in our Vachini and Endowment funds. So far we have earned $463 in dividends. We have $14,438.28 in our bank account after all current obligations have been paid. Newsletter (Chris Langley) Chris would like more photos for the newsletter, especially photos that have members in them.Various assignments were given to the board members to write for the next newsletter. Deadline is Nov. 20thfor submissions. Publicity, Outreach, & Social Media (Betsy Crowfoot)sent a report to Bob to share with board. She shared her ideas but stated we need to update the web site before she implements her plan. Raffle & Silent Auction(Carol Martens) Members of the committee have been notified. There are many people who are willing and able to donate to the auctions and raffles. Beginning in our next newsletter Carol will start asking the membership and sponsors for suggestions on items we can use. Tom filed Form 990-EZ with the Internal Revenue Service last week. This is done annually. 8:15 pm Adjourn- John H moved to adjourn and Bob seconded it. Meeting adjourned. Review and approval of Oct. 1, 2018 meeting minutes: Peter moved to approve the minutes and Bob seconded it. Minutes approved. Investment Report (Peter) We have a total OF $7,600 in the Investment fund. Vachini Fund: We have a total of $2,875 so far in the Vachini OWSP. 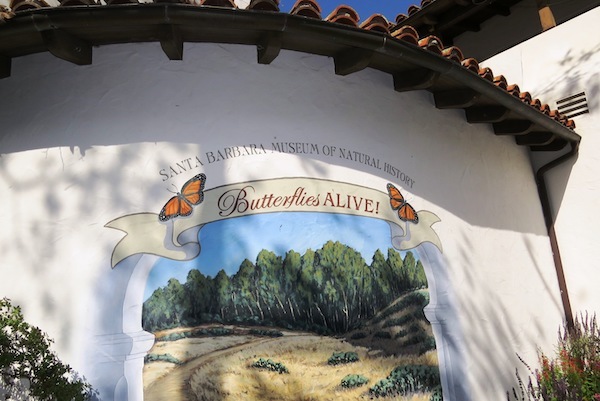 Santa Barbara Conference – Late Updates (John, Bob, Tom) Details on Tuesday’s activities. Newsletter (Bob) Chris Langley, the new chair for the newsletter, shared some of his ideas for future newsletters. The board complimented Chris on his first newsletter that came out this month. 3:35 John motioned to adjourn and Peter seconded it. Meeting adjourned. Introduction of Executive Director (Tom) Tom announced that Bob Semerau agreed to carry on as our official Executive Director. Finance Report (Bob) We have $ 15,769.77 in our bank account. Vachini Fund Status (Bob) So far we have $2,875 in the Vachini OWSP. Committee Status – Quick Update (Peter) We have 12 committees, 12 chairs and about 68 members assigned to a committee. Peter shared that John Poimiroo is off to a great start with his committee.as well as Chris Langely, Kathie Morgan and Carrie Wilson. 4:15 Barbara motioned to adjourn and Betsy seconded it. Meeting adjourned. Charge: Select outstanding person for this honor. --Conduct election and advise winner in time to attend the spring conference. Charge: Responsible for planning the annual spring and fall conferences. Charge: Solicit and disseminate information to help members improve their craft and business practices and their use of technology. Contribute at least one piece for each publication of OWAC’s newsletters. Suggest hitting up winners of current year’s Excellence in Craft Contest for newsletter submissions. Charge: Review any ethics charges submitted against a member and if necessary recommend an action to the Board of Directors. Charge: Administer the annual Excellence in Craft Contest. Charge: Manage OWAC’s Endowment portfolio in accordance with the board-approved Investment Policy Statement. Charge: Recruit new members and process membership applications; follow up with members who have not renewed membership (list to be provided by Executive Director to committee chair) to determine and hopefully reverse their decision for not renewing. Provide a conduit between the supporting members and the general membership to address concerns, questions and other issue. Help support the supporting members who are invaluable to the organization and encourage them to attend and participate in conferences. Charge: Publish six issues annually. Charge: Increase awareness of OWAC work and events in the media. Charge: Solicit donations of merchandise, books, sporting equipment, accommodations, etc. from supporting members, active members, and others; conduct auctions and raffles at conferences. Charge: Maintain the website and keep it up to date. 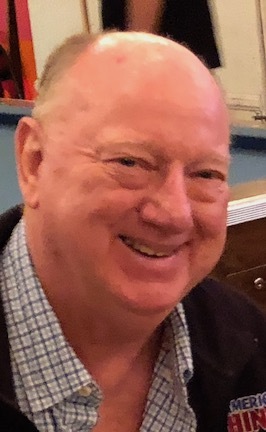 January/February, 2019 – Letter sent to each person submitting by Bob acknowledging receipt and informing them of deadline for judging. 1. The purpose of this contest is to judge and reward exceptional "outdoor" writing, reporting, broadcasting, photography, and digital communications produced by Outdoor Writers Association of California (OWAC) members. Entries with clear connection to the outdoors, outdoor recreation, wildlife, wild lands and other outdoor subjects are sought. 2. All entrants are required to read and adhere to the Contest Rules, and sign entry forms indicating that they have done so. Failure to do so can disqualify the entry. 3. Each entry must include two copies and have a completed entry form attached to each copy. Separate entries submitted on the same entry form are not eligible for judging. 4. Entry fees will not be refunded. It is the entrant’s responsibility to submit entries correctly. 5. The fee to submit entries in all categories, except category 26, 27 and 28, is $10. Checks are to be made payable to “OWAC”. One check consolidating all paid entries can be submitted by an entrant. 6. There is no fee to submit an entry in categories 26, 27 and 28. 7. Categories 1 – 25 and 27 – 29 are open to all OWAC Regular members in good standing. 8. Category 26 is open to all Regular and Supporting members in good standing. 9. Entries must have been published, posted or broadcast during the 2018 calendar year. 10. With the exception of categories 9, 10 and 26, only one entry may be submitted per entrant in any given category. Two entries may be submitted in categories 9 and 10, and unlimited entries may be submitted in category 26. 11. Entries cannot be submitted in category 29. It will be chosen from the 1stplace winners of categories 1 – 28. 12. Entries must be postmarkedby February 15, 2019. Entries received with a postmark after that date will not be opened and will be discarded or, if a book, returned. 13. OWAC membership dues must be paid prior to entry and current in order to receive an award. 14. With the exception of category 26, entrants must have been paid for their work. 15. With the exception of categories 26 and 28, an entry in one category cannot be submitted in another category. 16. Members who are co-authors may submit different articles under their joint byline in the same category (one entry per co-author, per category), unless otherwise allowed or denied. 17. Categories will be judged by people who are highly experienced and respected journalists, photojournalists and broadcasters, who may or may not be affiliated with OWAC, and have no professional affiliation with any of the judged media. They may reside in or outside California. 18. Special awards (categories 26 - 29) are reviewed by the OWAC Awards Committee. 19. The authorship of entries in categories will be disguised from the judges. 20. OWAC Writer of the Year will be selected from entrants winning in categories 1 - 28. § Copy one must show name of medium, author’s byline and date of publication/broadcast. § A second “Judge’s Copy” must obscure the name of the author (such as cutting out or covering with piece of paper when copied to the best possible). § Printouts from Internet sites are acceptable as the original work. It is not necessary to submit an original or clipping of the published work. Copies suffice if they are legible and clean. Originals for photographs and layouts are best or superior, or submit high resolution print outs with the copies.Xerox copies or poorly printed copies (bad color etc.) will not do the work justice and may affect the judges’ perceptions. § Photos entries and series must be submitted as .jpgs on a CD or flash drive as well. Each photo must be submitted on separate CD or flash drive with its own entry form if it is a single entry. If entering a series, all of the photos in the series should be on the disk. Include only the photos that have been printed. Do not submit collections of photos for different awards on a single CD or flash drive.Before mailing your entry, verify that the .jpg file on the CD or flash drive will open on a Windows operating system computer. If the entry does not open, judges are not obliged to contact the entrant to get a version that opens. § For photo entries, photographs published in any medium (including those taken by lecturers and used in paid presentations) are acceptable. § All writing entries must be submitted on 8 ½” x 11” paper, unless the format (such as calendars) makes this impossible. Tear sheets or clips (photocopies) of writing entries are acceptable, as long as they satisfy this size restriction and are legible. Please tape the copies down. § For Newspaper and Magazine entries, judges will only take the quality of writing into consideration. Judges will not consider layouts and photos. § For Outdoor Medium, Newsletter and Book entries, writing, photography and layout will be considered. This is where presentation will make a significant difference. Present originals for the judges if possible. § For Outdoor Medium, the entire content of outdoor sections of the medium will be judged, not just the writing of the OWAC member. 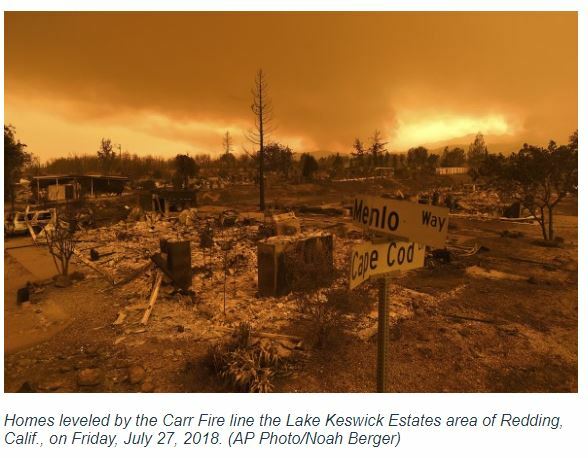 This is an award to the medium(e.g., newspaper, radio station, magazine, TV station, website, or other outdoor medium) for the overall excellence of its outdoor reporting. Therefore, representative samples of the entire mediummust be submitted. The OWAC member will be recognized for having submitted the winning entry, but this is not an award to the submitting individual. § For radio entries, submit radio show or features in an audio file on a CD or flash drive. § For TV/video entries, submit entries in a video file on a DVD or flash drive. § For newsletter entries, entrant should identify their role in publication as editor, writer, photographer, publisher, or multiple skills, as appropriate. Three separate issues unless it is only a bi-annual publication – then two. § For book, a revised edition of a previously published book is acceptable, but it must be the first time the book in any edition has been entered in the OWAC contest. Two copies are required. § For website or app, submit URL or link. Recognizing that website content changes regularly, it is not necessary to submit a screen capture of the site at a point in time during the judged calendar year, as long as the website was created or updated during that year. § For web-only stories, submit printouts of entry, with same guidelines as for newspaper feature, as well as URL. For E-Books, provide a complete copy of the book on a CD or flash drive, along with the distribution url and sales information. § No entries, other than books, will be returned. The condition of returned books, due to shipping, cannot be guaranteed. As available, judge’s comments will be provided to entrants. Additional awards in any category can be given, if in the opinion of the judge/s, they are deserving of recognition. In such circumstance, awards should be given in succession of merit: e.g., second place, third place, fourth place, fifth place. Certificates of Merit may also be given to entries deserving of recognition, as determined by the judges. There is no obligation that an award by presented, just because there were entries. Judges may elect to not award a prize or certificate in any category. 1. Best Outdoor Medium – An outdoor medium is the whole or any regularly scheduled section that is devoted to outdoor news and feature articles, submitted in any medium (print, online or broadcast). This is an award to the medium, not to a writer, though writers are encouraged to submit their media for consideration. Best Outdoor Medium is considered to be one of OWAC’s most prestigious awards. Three examples of the entire outdoor medium or its specific section must be submitted. 2. Best Outdoor News Article- A news article is a straight-forward story, without spin and free of all faction, in which the reporter delivers factual, attributed information that is verifiable, submitted in any medium (print, online or broadcast). 3. Best Outdoor Series - A series of news articles connected by subject and numbered Part 1, Part 2, Part 3, etc., with thematic unity from start to finish and published consecutively, submitted in any medium (print, online or broadcast). 4. Best Outdoor Newspaper Feature Story - A newspaper feature is a story that covers a select issue, person or event in depth and usually focus on human-interest elements of a situation, adventure or event, published in a newspaper or on a newspaper website. 5. Best Outdoor Newspaper Column - A column is regular section of a newspaper or newspaper website that gives the writer’s perspective or opinion, such as an essay or first-person report, often on an issue of the day. Three separate examples of the column must be submitted– this means different columns, printed on different days. Sending only three copies of the same column will result in disqualification. 6. Best Outdoor Magazine Feature - A magazine feature is an article that covers a selected issue, person or event in-depth and usually focuses on the human-interest elements of a situation, adventure or event, published in a magazine or on a magazine website. 7. Best Outdoor Magazine Column - A column is a piece of writing that gives the perspective or opinion, such as an essay or first-person report, usually on an issue of the day, published in a magazine or on a magazine website. Three separate examples of the column must be submitted - this means different columns, printed in different issues. Sending only three copies of the same column will result in disqualification. 8. Best Outdoor Newsletter - A newsletter is a report that is published at least three times a year and that contains news or information of interest to a specific group. Three examples of different editions must be submitted. 9. Best Outdoor Book - This award is specifically for non-fiction and fiction outdoor books other than guidebooks. It includes, such as: memoirs, novels, history, and photography books. Two copies of each entry must be submitted (to be returned by mail). 10. Best Outdoor Guidebook - A guidebook (includes travel and how-to books) provides details of a geographic area or a skill, often both, and is published with the intent to be the ultimate information source for that geographic area or skill. Two copies of each entry must be submitted (to be returned by mail). 11. Best Outdoor Feature Photograph - A feature photo covers a selected issue, person or place, and usually focuses on the human-interest elements of a situation, event or place. 12. Best Outdoor Action Photograph - An action photo captures a moment in time, a real-life event or adventure. 13. Best Outdoor Photographic Series - A series is a formal connection of photographs with thematic unity from start to finish and published as a single work. Not less than three, nor more than five photographs in a series can be submitted. 14. Best Outdoor Radio Show Short Format - A regularly broadcast or podcast feature covering the outdoors from 1- 5 minutes in length. Three segments from different broadcasts must be submitted. 15. Best Outdoor Radio Show Medium Format - A radio show is any broadcast of more than 10 minutes but less than one-half hour or longer in length. Three segments from different broadcasts must be submitted. 16. Best Outdoor Radio Show - A radio show is any broadcast of one-half hour or longer in length. Three segments from different broadcasts must be submitted. 17. Best Outdoor Radio Feature – A single radio feature is any broadcast or podcast of 1 to 10 minutes in length. 18. Best Outdoor TV Show Segment- A TV show segment is any broadcast of 1 to 15 minutes in length, regularly incorporated into a larger TV show. Three segments from different broadcasts must be submitted. 19. Best Outdoor TV Show - A TV show is any broadcast of 15 minutes or longer in length. Three segments from different broadcasts must be submitted. 20. Best Outdoor TV Show Feature - A TV show story or segment of less than 15 minutes broadcast once as part of a larger program. 21. Best Outdoor Video Short – A video short is any broadcast or Internet feature of one to five minutes in length. 22. Best Outdoor Video Medium – A video short is any broadcast or Internet feature of more than 5 minutes but less than 15 minutes in length. 23. Best Outdoor Video Standard– A video short is any broadcast or Internet feature of more than 15 minutes in length. 24. Best Outdoor Internet Site – An Internet site is any website, application software or mobile app, accessible through the World Wide Web. The entire outdoor section of the site is judged. Note: Website entries should be for the entire website, not just a single page.The submitter must have complete design, content management, imagery and maintenance authority – the submitter does not need to have completed the technical programming, can but does not have to, but he/she should be recognized as the manager of the site. 25. Best Outdoor Internet Article – An Internet article is an individual feature story, column or news report published solely on an Internet site. 26. Best OWAC Conference-related Work - Conference-related work is any work (print, web, photographic, video or broadcast) based on participation at any previous OWAC conference published or broadcast during 2017. 27. 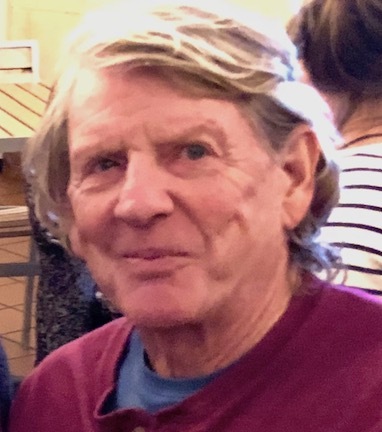 Phil Ford Humor Award - The Phil Ford Humor Award, named after OWAC charter member Phil Ford, honors work that exemplifies Phil’s style of capturing the outdoor world with a wink and a grin. 28. John Reginato Conservation Award - The John Reginato Conservation Award is named after OWAC co-founder John Reginato and exemplifies his life-long passion to conserve fish, wildlife and other outdoor resources. 29. OWAC Writer of the Year – OWAC members cannot apply for this award. It is selected by the judges from winners of categories 1 – 28. The Craft Awards Chair and Judges may move an entry to a category in which the entry is more appropriately suited. Judges may elect not to award in any category, regardless of number of entries. All decisions of the judges are final. 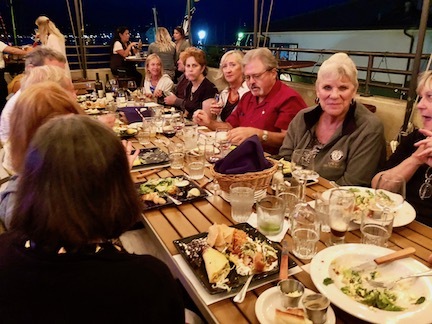 The 2019 OWAC Awards are open only to Outdoor Writers Association of California members who are in good standing. To be eligible, an OWAC member’s 2019 membership fees must be paid in full. A separate, signed entry form must be completed for each entry. Each entry is $10. Pay in full by check made payable to “OWAC." Only books will be returned to entrants at the spring conference (when awards are presented). All other entries will be discarded following the awards ceremony. Print and attach this form to one entry copy. Entries submitted without two copies (of both pages) or without submission forms will be disqualified. Attach this form to second copy of entry. What was the most challenging aspect of creating this entry? I hereby certify that this entry is my work. I further agree to all conditions on this entry form and to the OWAC Awards Contest Rules and Guidelines posted at www.OWAC.org. HERE ARE THE COMMITTEES, THEIR HEADS, AND THE CHARGES. PLEASE BECOME ACTIVE WITH THEIR WORK. TOGETHER WE ARFE STRONGER.